The team was able to discern that between 1979 and 1990, Antarctica shed an average of 40 gigatons of ice mass annually. From 2009 to 2017, about 252 gigatons per year were lost. Remember, as you die of old age over the next few months and years, the world will be getting better for your absence.
" was this repeatedly and abruptly Ice Sheet collapse caused by CO2?" 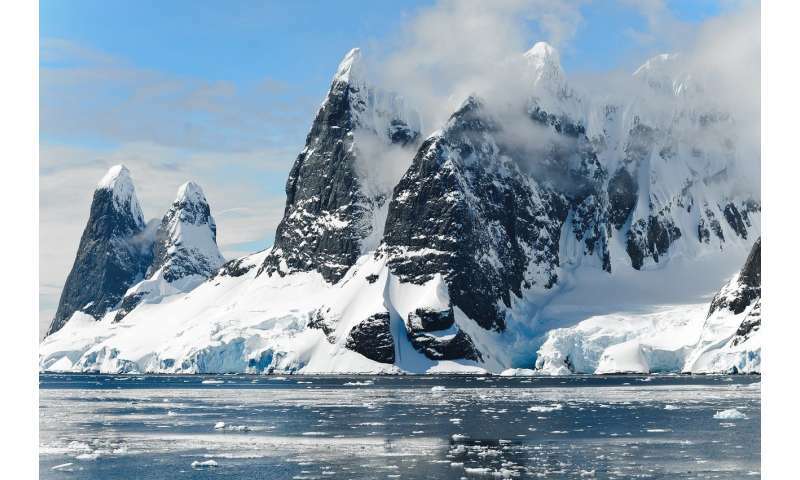 "Rignot said that one of the key findings of the project is the contribution East Antarctica has made to the total ice mass loss picture in recent decades." In the mean time the West Antarctica ice sheet has been gaining more than the East has lost and the rate of sea level change has NOT been increasing according to the land based tide gauges. 1/2 inch extra would have been apparent years ago. Some of these so called scientists need to be place in prison for their MAJOR fraud which cost taxpayers of the world Trillions! Remember, there may be over a quarter million doctorate degrees awarded each year. They all have to do research on something. These are mostly young people who have little life experience and are desperate to get their PhD. A lot of crap comes out of research because it is too narrowly focused because it is impossible to take into account even a modest amount of variables. The truth is that global warming is true, ice will melt, but life does not survive by trying to keep everything the same. It survives by adapting. The truth is that the world was going into a global ice ball without the interference caused by humans. Do you intend to remain stupid for the rest of your life? The truth is that Grandpa will soon be dead, and the world will be a better place for it. Net loss is resulting in a higher sea level. Poor Mr166. His reading comprehension is that of a child. While the interior of East Antarctica is gaining land ice, overall Antarctica has been losing land ice at an accelerating rate. The truth is that the human race is scheduled for extinction in any case - whether or not the oceans rise and floods the land masses and drowns animals, birds - and yes, people like you. But you might not even feel a thing once that humongous incoming asteroid heats up the atmosphere and, hopefully, lands in your backyard. Grandpa will survive as old folks have the ability from long years of experience that YOU still haven't learned. So yes, the human race as beset with all its problems and willfulness and self-scourging will settle back into the dust from whence it came. Why, YOU might even find yourself lying next to Grandpa in the dirt. Continuous discovery of volcanoes in Antarctica has risen to such levels that it is now the densest population on the planet. So, the AGW Cult must follow by increasing their PATHOLOGICAL LIES just to sustain their dogma and feed their hungry and ignorant Chicken Littles. What is with all the insults? The earth is not going to rise 8 degrees. Many scientists and engineers have already developed the technology to replace fossil fuels within 20 years. We will probably get a 3 degree rise in temperatures which will be good for earth. It was turning into a global ice ball as evidence by the increasing ice ages over the last million years and the rock bottom carbon dioxide levels. I feel that most of the impetus to fight global warming is, government people and socialists, wanting more control and ways to collect taxes. The truth is GRANDPA is yesterday's jungle monkey chatter, they will have to elect a new baboon to run the jungle soon ! its not about when nimwit, it's about How you can make a difference Now that will decide the When ! Amazingly, he also works at JPL. So he's spews another type of dark matter there no doubt. Phys.org has so many readers who know better about climate change than teams of working climate scientists at the world's leading science agencies! Who suspected we were in such elite company? Of course it is utter nonsense that any of these pseudonymous 'experts' know better; the essentials of every mainstream expert report have been the same for nearly 3 decades, whether commissioned by progressives or conservatives. Because that is the only reasonable science based conclusion. No conspiracy - of incompetence or of extremist ideology - gets the National Academy of Sciences and National Research Council to go along with it. Real conspiracy, like real incompetence, would be exposed - real evidence leading to charges, not a couple of dubious phrases in a few emails - and opponents of climate action have had the investigative powers and would have used it if there were real evidence. No findings of conspiracy because no evidence; the the science, like it or not, is sound. life .... survives by adapting. Life just dies. only the offspring adapt.